The Belgian Maarten Vanden Eynde and the Cameroonian Alioum Moussa are building a two-part mobile structure, of which one side is the other’s opposite. Yet the structures depend upon one another to stay in balance. During Performatik17 they set up shop at Place de la Monnaie, where you are invited to visit them – in pairs – for a discussion about dependence and independence. At a personal, political ánd artistic level. The project will be translated into a growing photo exhibition at Kaaitheater. Moussa and Vanden Eynde originally created the project for SUD2010, the triennial art event in Douala (Cameroon), whose starting point was the 50th anniversary of independence being marked by 17 African countries. • Alioum Moussa and Maarten Vanden Eynde first encountered one another during Present Perfect. This project by Enough Room for Space initiates collaborations between European and Cameroonian artists. Vanden Eynde’s artistic practice encompasses sculpture, video, photography, installation and performance – which are often context-related. From a globalised perspective, he asks questions about evolution. What is progress? Are we actually progressing? And what are we progressing towards? He founded the Brussels-based independent arts space Enough Room For Space together with Marjolijn Dijkman. Alioum Moussa is a visual artist and graphic designer. His work ranges from street art to installation art, clothing and craft design, and is often based on social issues. Enough Room for Space is organising a LUNÄ round table discussion about the many different meanings of independence: social, political, ecological and technical. They invite to you to join them around the table, which is an exact copy of the 18th century British Lunar Society’s original table. This group of industrialists, scientists, poets and writers would meet up at every full moon. The Lunar Society, an 18th-century group of British industrialists, scientists, poets, and writers, used to convene at full moon to explore the ways in which science and art could serve society. 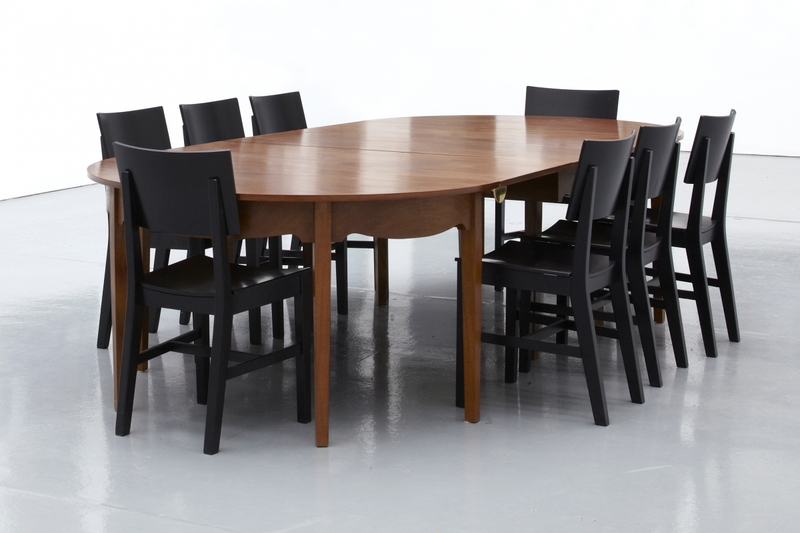 You can now also take a seat at the LUNÄ table. The Belgian Maarten Vanden Eynde and the Cameroonian Alioum Moussa are building a two-part mobile structure, of which one side is the other’s opposite. Yet the structures depend upon one another to stay in balance. 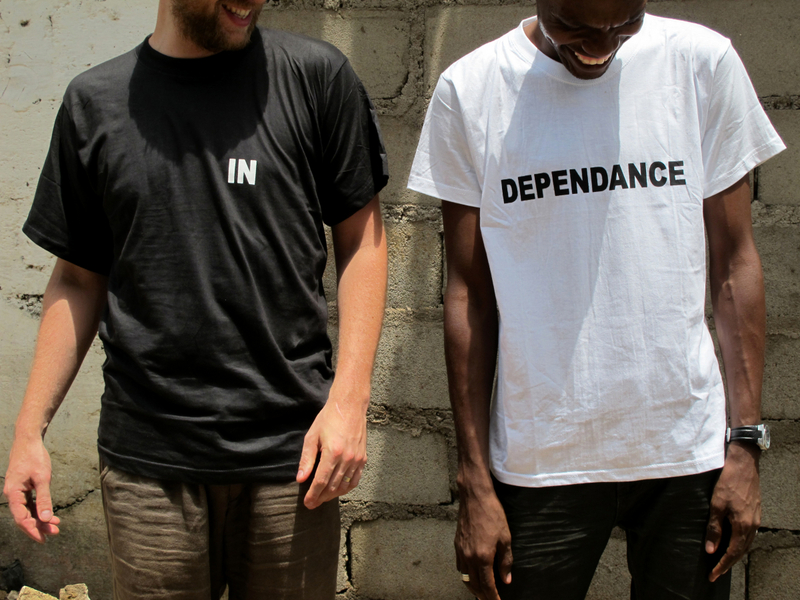 During Performatik17 they set up shop at Place de la Monnaie, where you are invited to visit them – in pairs – for a discussion about dependence and independence.